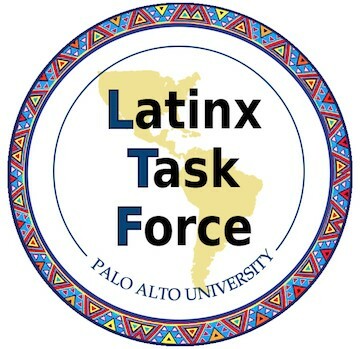 In Spring 2017, the PAU Latinx Task Force (LTF) was formed with a Unity Grant award from the PAU President’s Office. Faculty, students, and staff joined forces across programs and branches to implement projects serving the Latinx/Hispanic community within PAU and the surrounding community. With the support of the LTF Steering Committee, chaired by Dr. Alinne Barrera, and comprised of three additional faculty, two La Clínica Latina supervisors, three staff members, four students, a community member/alum, and four student assistants, the LTF implemented the mission and goals of their inaugural funding year. PAU and community-wide events organized by the LTF included: presentations about the LTF during doctoral program open houses and interview weekends; a student-organized Q&A panel for PAU applicants; serving as Keynote Speakers at the San Mateo County Cultural Awareness Training; delivering guest lectures at PAU PULSO events; outreach to new undergraduate students; and presentation on PAU services and resources at the San Mateo County Leadership Council monthly meeting. In collaboration with PAU Administration, the LTF also disseminated a response to the recent changes of the Deferred Action for Childhood Arrivals (DACA). One of the initial goals of the LTF was to assist PAU toward becoming a Hispanic Serving Institution. To this end, the LTF delivered a detailed report to the President’s Office regarding the requirements and the recommended steps needed to increase PAU’s eligibility. Stay tuned for further developments in this area of growth for PAU! Current potential LTF-sponsored projects include: developing pedagogical practices for increasing cultural responsiveness in clinical education, training, and supervision; developing a supplemental practicum site for performing asylum evaluations in conjunction with Stanford’s Department of Behavioral Health Services and Community Legal Services of East Palo Alto; and more!